How Inflation Will RUIN Your Retirement Plan! In this week’s Insight Article, I’m going to make a slight left turn in terms of content. But don’t worry, this topic will most definitely be relevant to you. Content is always curated to help you along in your real estate journey. Today, we’ll explore a real estate adjacent topic – Inflation. 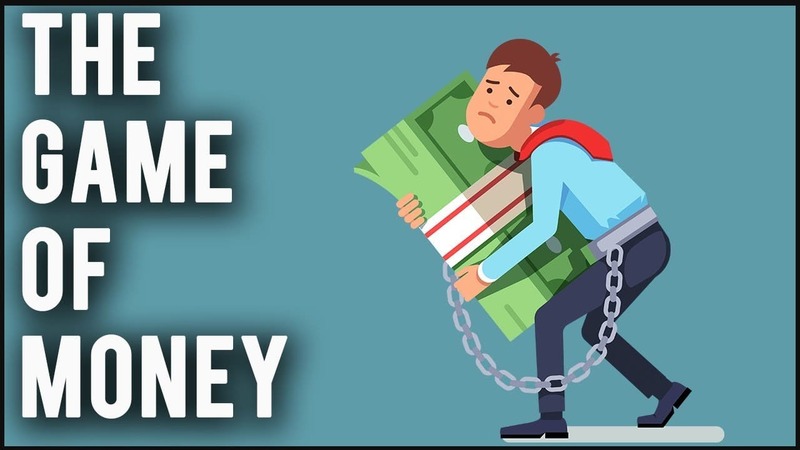 The Money Game – There is a huge systemic problem in our economy that will completely obliterate your retirement savings if you are not aware of what’s going on. This systemic issue is what I will refer to as the “money game” in this week’s Insight Article. You may not know it, but we’re all playing the same money game. If you didn’t already know that you’re playing this game, you’re already behind. That’s exactly why I want to shed some light on this topic for you today. Full Disclosure – I am not a financial planner, but in order to play the money game and to come out on top, I needed to know the rules and how its played (and so will you). Going through the formal schooling system, teachers never really taught us how money works. Money is also one of those topics that is a very touchy, sensitive topic. So this is something that you must take into your own hands if you want to win the money game, and it’s exactly what I had to do. Saving At Its Finest… or Worst? As a first-generation Chinese immigrant to Canada, I was always taught to save, save, save. There is a great lesson to be had with spending below your income level and saving aggressively, but unfortunately, this will not allow you to win the money game in today’s economy. There is one missing component to this aggressive saving strategy, and that is, you must invest your savings in order to win. Going Up! I’m sure you have of heard the term inflation. Most people just assume it’s prices generally going up (i.e., the increase in price on common items such as milk and eggs). While that is absolutely true and 2% inflation is not, seemingly, much of an increase, there is a larger, more devastating impact than you may think. Did You Know? If inflation is 2%, the money that you have now would only be HALF as valuable 36 years later? For instance, if you have $100 dollars today, 36 years later, it would only be worth $50. Let that sink in for a second. If inflation is even higher than 2%, the number of years it takes for your money to lose its value will decrease. In other words, you’re losing money even faster! The general rule is that you take the number 72 and divide it by the rate of inflation to get the number of years that it will take for your money to lose half its value. Take a look at the chart below for the various inflation rate scenarios. Isn’t That Scary?! If inflation is about 3.5% (which has happened before in Canada, see chart below) and you’re trying to save enough money for your child’s post-secondary education, that will actually require you to save TWO times as much money due to inflation alone! Silent But Deadly – If that wasn’t bad enough, take a look at the Bank of Canada’s website. The Bank of Canada has a targeted inflation rate that they try to meet each year, between 1% and 3% (referenced below, highlighted in yellow). Every year, they are silently destroying your retirement savings plan. So What? So why is all of this important and how does it relate to real estate? It’s important because we’re all playing the same money game. We need to protect ourselves from things that are out of our control, such as the government’s mandates on inflationary increases. If you’re lucky and have a job that adjusts your annual salary in accordance with the inflationary increases, then that’s a great start. If you are not in that category of people, then you really ought to start thinking about Plan B. Putting your hard earned money into a savings account is just not going to cut it. Even after the 6 months promotional rate at your no fee bank, your savings is only going up by a mere 1.25% each year. That’s lower than the rate of inflation! You need to actually invest into things that will generate you a much higher return (higher than inflation at least!). Many people use the power of real estate for that reason. The returns on real estate will far outweigh the costs associated with inflation. The Wrap – When the rules of the money game are against you, it’s hard to win, especially if you just came to the realization that you’re playing the game. There are many cards in your hand that you could use to win the money game (i.e., a variety of investment options are available out there). When executed correctly, real estate is the least volatile yet most productive hard asset class that will allow you to jump ahead and win the game. Let that be YOU! As always, we’re here to help. If you want to learn more about how to beat the system and come out as a winner in the money game, reach out to us to see how we can help you do just that! Next Next post: Relief is Coming – The Awakening of Supply!